What is the best halal collagen drink that you can buy in Malaysia and also Singapore? 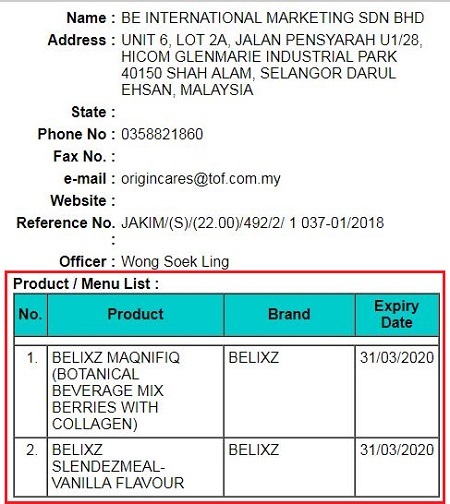 Personally, I would recommend the BElixz Maqnifiq Botanical Beverage Mix Berries with collagen drink by BE International Marketing. Most people mistakenly call it as Magnifiq collagen drink. 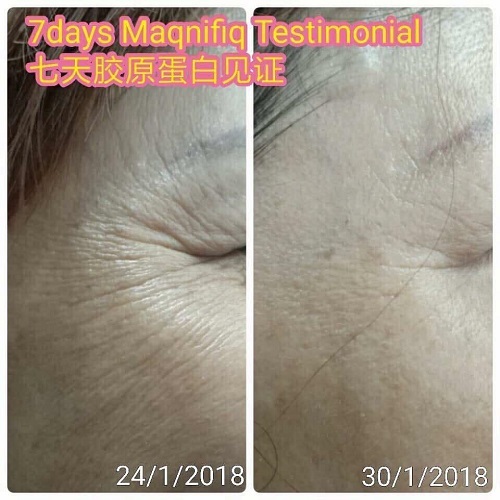 In actual fact, the brand name is known as Maqnifiq collagen. How can you be sure the Maqnifiq collagen supplement is trully halal? 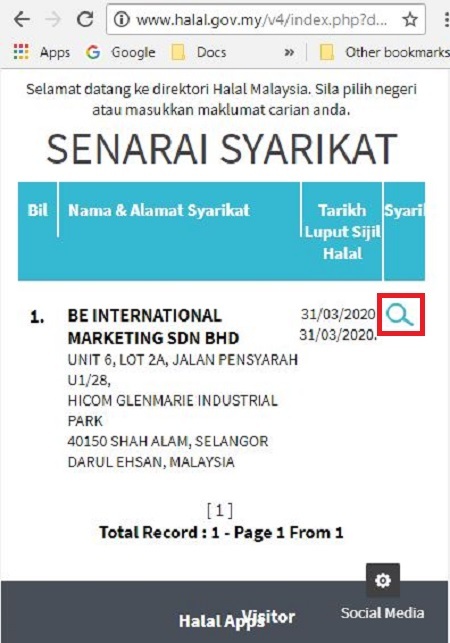 Well, back in March 2018, the product was approved and officially given the halal certification by Jabatan Kemajuan Islam Malaysia (JAKIM). The following is the official halal certificate by JAKIM. 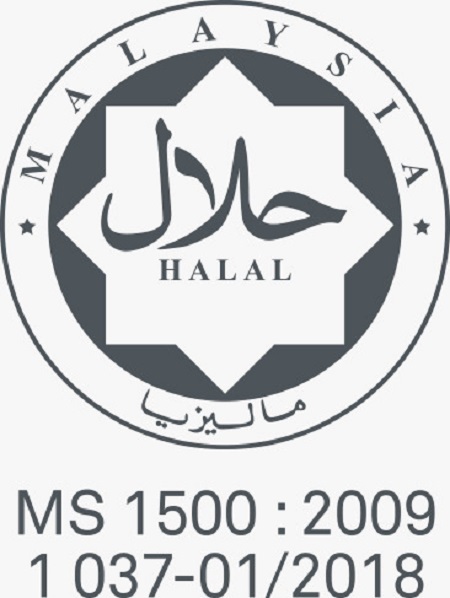 Maqnifiq collagen halal certification number is MS 1500:2009 1 037 – 01/2018. How do you verify the product halal status? You can do so by heading over to the Halal Malaysia Official Portal at www.halal.gov.my/. At the Verify Halal Status search bar, type in the certification number which is 1 037-01/2018. Next, click on Search button. 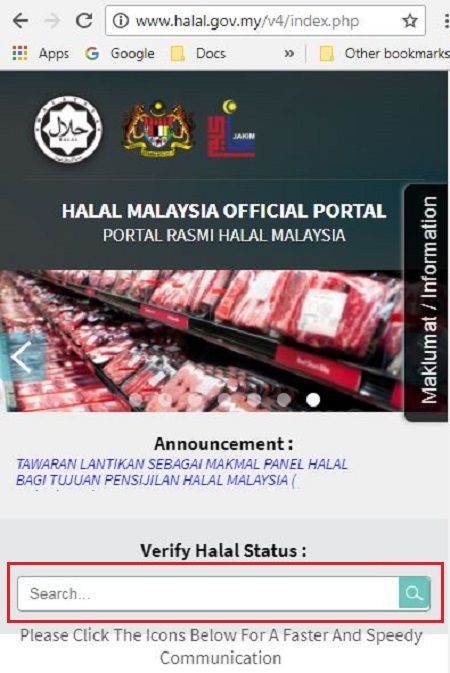 The portal will list down the corresponding company that owns the halal certification. In this case, it is BE International Marketing Sdn Bhd. By clicking on the company search button, it will pull out the company detail. Next, by clicking on the search icon, you will see the product details information. The halal certificate issued covers Belixz Maqnifiq (Botanical Beverage Mix Berries with collagen) and Belixz Slendezmeal Vanilla Flavour. The expiration date for the halal certificate is 31/3/2020. Are all pure collagen peptides and powder available in the market halal? Unfortunately, I don’t have the expertise to answer that question. It is best to leave it to the expert, which is JAKIM to determine the halal status of a product. What I do know is the type of collagen in Maqnifiq is made from fish or marine based. The collagen is made from hydrolyzed fish scale. 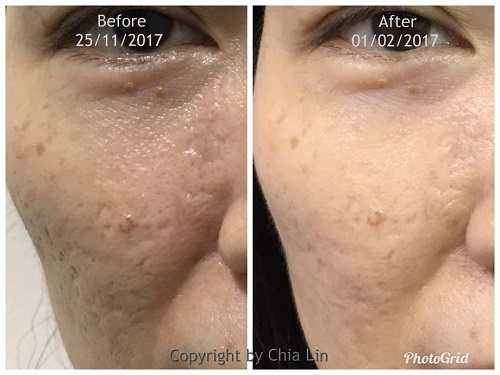 Does taking Maqnifiq collagen helps to improve your skin condition? 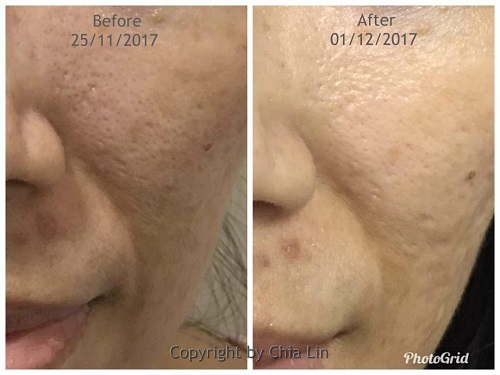 The following is my “before and after” pictures of taking Maqnifiq for just 14 days. You can see my skin condition improved quite a lot. 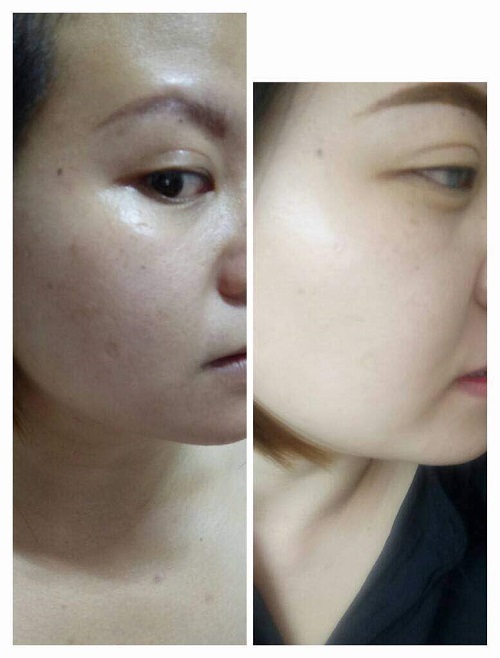 The following are testimonials from other people that have taken Maqnifiq with amazing results. In conclusion, if you are looking for the best halal collagen drink in both Malaysia and Singapore, try the Maqnifiq collagen drink. You can rest assured it is 100% halal because it was certified by JAKIM. The Maqnifiq collagen comes in a box of 30 sachets. Preparation is very simple. All you have to do is dissolve 1 sachet into 100 ml drinking water and stir. It is then ready to be drank.